Vera Bradley is having a Seas the Day Sale and offering an extra 25% off your entire purchase. Discount will apply at checkout. You will also get free shipping on all orders. Sale ends Monday night. 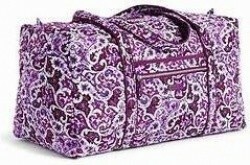 Through Sunday night, Vera Bradley is offering an extra 25% off hundreds of Travel Styles. Discount will apply at checkout. You will also get free shipping on all online orders. Only open through Thursday night! Vera Bradley is having their Online Outlet Event and offering an extra 30% off hundreds of items already reduced to up to 75% off, extra discount will apply at checkout. 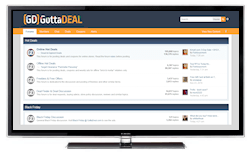 Enter your email address on the sale page to access the deals. Hurry for the best selection, things sell out fast in this sale! Through Sunday night, Vera Bradley is offering 25% off hundreds of styles of Crossbody, Tote & Satchel Styles. Discount will apply in cart. And, you will get free shipping on all orders with no minimum purchase required. Vera Bradley is having a limited time Winter Sale and are offering 50% off on all sale styles. Discounted prices are shown. Save on over 500 items including purses, backpacks, luggage and more. You will also get free shipping on all orders of $75 or more. Vera Bradley is having a Friends & Family Sale and offering an extra 25% off sitewide, discount is taken at checkout. And, you will get free shipping on all orders with no minimum purchase required. Sale ends Monday night. Vera Bradley is having an Online Outlet Event and offering an extra 30% off already reduced styles and patterns, discount will apply at checkout. Free shipping is also included with this deal. 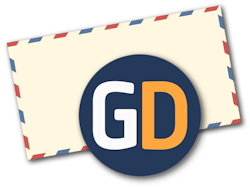 Enter your email address on the sale page to access the deals. Sale ends Wednesday night. This weekend, Vera Bradley is offering free sitewide shipping with no minimum purchase required. Be sure to check out their Sale Section and find items staring at only $9.80. Vera Bradley is having their Labor Day Sale and offering 50% off all sale styles, discounted prices are shown. And, you will also get free economy shipping on all orders. Sale ends Monday night. 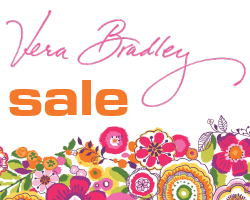 Vera Bradley is having a Come Sale Away Sale and offering 40% off hundreds of sale items, discounted prices are shown. And, for a limited time only, you will also get free economy shipping on all orders. Limited time sale! 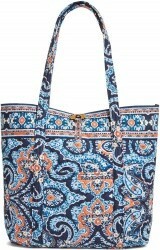 Vera Bradley is having a Come Sale Away Sale and offering 30% off hundreds of sale items, discounted prices are shown. And, for a limited time only, you will also get free economy shipping on all orders. 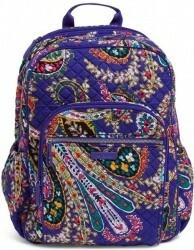 Vera Bradley is having a Back to School Sale and offering 25% off select backpacks & accessories. Discount taken at checkout. And, for a limited time only, you will also get free shipping on all orders. Sale ends Wednesday night. Vera Bradley is having a Birthday Sale and offering an extra 25% off sitewide, including sale items. Discount taken at checkout. You will also get free shipping on all orders. Sale ends Sunday night. Limited time sale! Vera Bradley is having a Summer Sale and offering 50% off hundreds of styles of totes, travel bags, handbags, accessories, apparel and more. Discounted prices are shown. You will also get free shipping on all orders. Vera Bradley is having a 4th of July Sale and offering 50% off hundreds of sale styles, discounted prices are shown. Deals start at only $4.00. Free shipping is also included on all orders. Sale ends Sunday 7/8. Vera Bradley has up to 40% off over 100 Sale Items including bags, wallets, accessories, throws and more. Free shipping is also included on all orders for a limited time only. Vera Bradley has started their Memorial Day Sale and are offering an extra 25% off sitewide, including sale items. Discount will be taken at checkout. Also, free shipping is included on all orders. For a limited time only, Vera Bradley is offering free shipping on all orders with no minimum purchase required. Be sure to check out their Sale Section and save up to 40% off hundreds of items from every department with prices starting at only $4.80. Vera Bradley is having a Winter Sale with 50% off over 500 items from across the site. Prices start at only $2.00. Also, for a limited time only free shipping is included on all orders. For a limited time only, Vera Bradley is taking an extra 30% off Clearance Items already marked down to up to 65% off, discount will apply at checkout. Free shipping is also included on orders of $75 or more. Vera Bradley is offering an extra 25% off your entire purchase, including sale items. Discount is taken in cart. Also, free shipping is included on all orders. Offer ends Monday night. 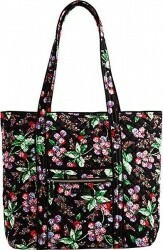 Vera Bradley has 50% off 50 Styles, discounted prices are shown. Save on backpacks, totes, duffel and weekender bags, blankets, crossbody bags and more. Free shipping is also included on all orders. Sale ends Sunday night. Vera Bradley is offering an extra 30% off sale styles, discount applies in-cart. Plus, get free shipping on all orders for a limited time only. Vera Bradley is offering an extra 30% off All Clearance Items, discount will apply in cart. Plus, get free shipping on orders of $75 or more. Sale ends Friday. Vera Bradley is having a 2-Days Sale and offering an extra 50% off 30 styles, *select colors only. Items priced as marked. Also, free shipping is included on all orders. Sale ends Monday night. Originally $128.00, Vera Bradley offers their Vera Bradley Satchel in your choice of 4 colors for an in-cart price of $33.60. Also, free shipping is included with this deal. Deal ends Tuesday. 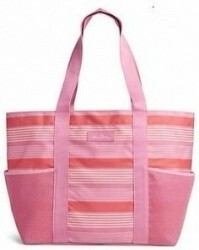 Vera Bradley has their Lighten Up Family Tote in your choice of 2 colors for $29.00. And, right now, they are offering free shipping on all orders. 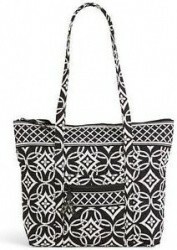 Vera Bradley has their Villager Shoulder Bag in Concerto Pattern for $30.00. Free sitewide shipping is also being offered today. 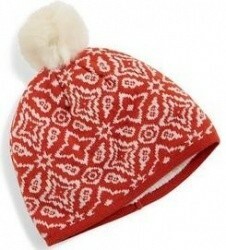 Vera Bradley has their Cozy Knit Hat in your choice of 3 colors for $12.60. Also, for a limited time only, free shipping is included on all orders. Vera Bradley takes an extra 20% off Sale Items which are already discounted at 50% off or more. Free shipping is also included with all orders - no minimum purchase required! 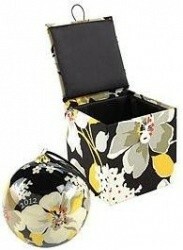 Vera Bradley has their Hand-Painted Glass Ornament in Dogwood in Keepsake Box for $8.55. And, right now get free shipping on all online orders. Vera Bradley is offering an extra 40% off Sale Styles already marked down to up to 50% off, discount taken at checkout. Plus, get free shipping on orders for a limited time only. Sale ends Wednesday. Vera Bradley eBay Sale: Buy 1, Get 1 50% off on Already Reduced Bags! Vera Bradley has a big buy one, get one 50% off sale on their eBay store. Over 200 items qualify and most are already reduced up to 75% off! 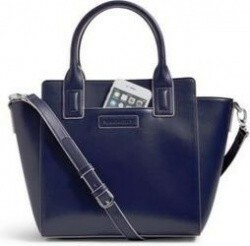 These bags also currently include free shipping. Value of least expensive item will be discounted from the subtotal amount. Vera Bradley is having a Labor Day Weekend Sale with 50% off over 500 select styles, prices are as marked and start at only $4.00. You will also get free sitewide shipping. Sale ends Monday 9/7. Vera Bradley has their Frannie Crossbody Bag in your choice of 5 colors for $11.60. Also, free shipping is included with this deal. Vera Bradley has free shipping with no minimum for a limited time. Combine that with their Memorial Day sale with items marked up to 50% off. Finally, spend $125 or more and get a free beach towel. Vera Bradley is offering an extra 20% off All Clearance Styles, discount will apply in cart. Prices start at only $3.20. You will also get free shipping on orders of $75 or more. Deal ends Wednesday. Vera Bradley is offering an Extra 25% off All Sale Styles already marked down to up to 50% off with coupon code SALE25. Prices start at only $2.70, after the discount. Free shipping is also included on orders of $50 or more. Sale ends Wednesday. 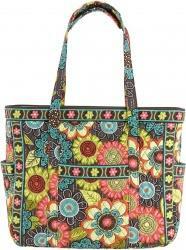 Vera Bradley is offering up to 60% off 3 Great Colors in many styles. For orders of $100 or more receive a free Heart to Heart Jewelry Case in Cheery Blossoms (a $40 value), see site for details. Free shipping is included on orders of $75 or more. Sale ends Thursday.